THE MAIN ELEMENTS OF OUR WORK. FINDING AND BUYING RUGS AND TEXTILES AS CLOSE TO SOURCE AS POSSIBLE. APPRAISING AND JUSTIFIED CLEANING, REPAIR AND RESTORATION. 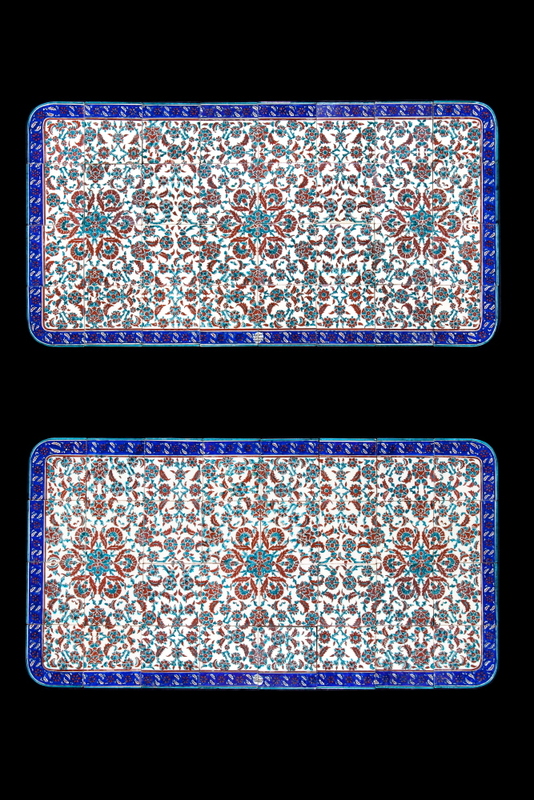 DEALING IN VINTAGE AND ANTIQUE ITEMS FROM THE MEDITERRANIAN REGION. 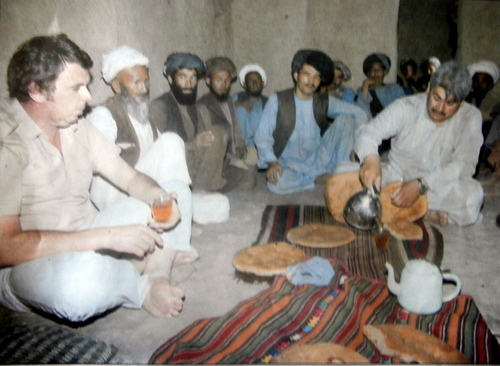 SHARING BREAD AND TEA before buying rugs from Afghans in the North West Frontier between Afghanistan and Pakistan. 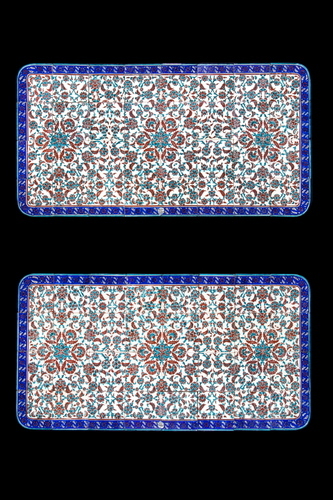 A VERY RARE PAIR OF ANTIQUE, hand made, hand painted ceramic tiles from the master Ceramacist, Azim Cini, made and signed by him in the Fabrika of Kutahya, Western Turkey. Size 130 x 82 cms., or 52 x 27 inches. 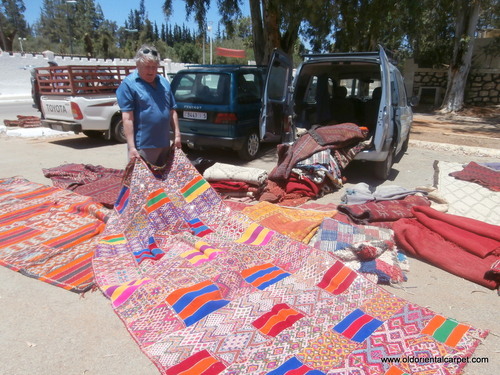 EARLY MORNING WEEKLY RUG MARKET in a small town in Morocco's Middle Atlas mountains. The early birds get the best choice. 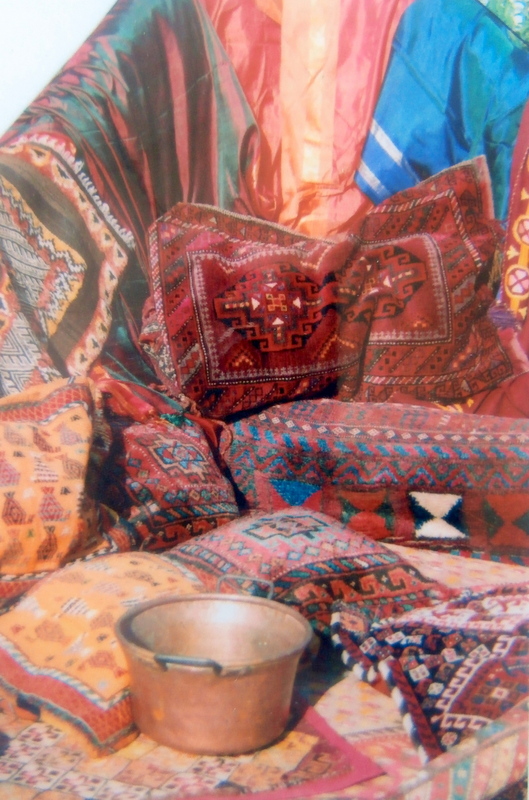 MAKE YOUR OWN SUMPTUOUS CUSHIONS AND PILLOWS FROM OUR HUGE SELECTION OF OLD TRIBAL TENT AND SADDLE BAGS. 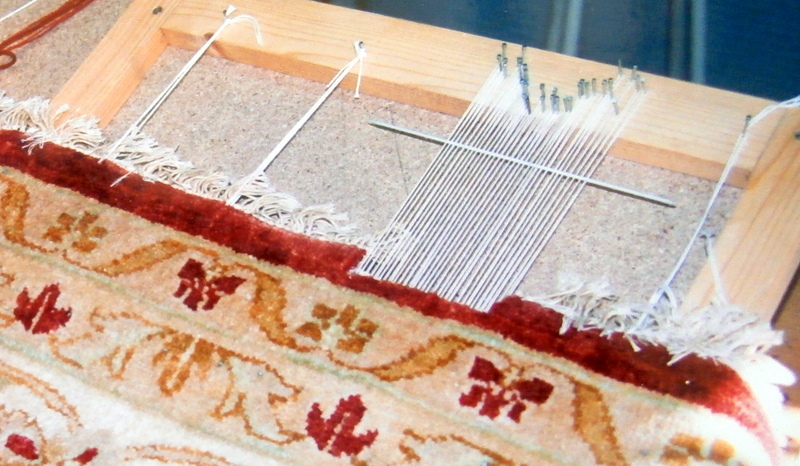 I LEARNED RESTORING SKILLS FROM THE AFGHANS, AS WELL AS IN TURKEY, MOROCCO AND SPAIN. WE ONLY undertake justified work. Visitors are welcome to the studio.